Archibald Philip Primrose was born in London in 1847. Educated at Eton and Christ Church, Oxford, he became the 5th Earl of Rosebery after the death of his grandfather in 1868. 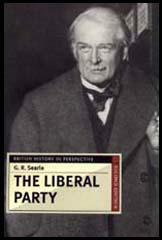 Rosebery was a supporter of the Liberal Party in the House of Lords and supported social reform. After the 1880 General Election, the Prime Minister, William Gladstone, appointed Rosebery as his under-secretary for the home department and in 1884 he became commissioner of works in his government. Further promotion was achieved in 1886 when Gladstone gave him the important job of Foreign Secretary. The 1885 General Election returned a Conservative government and Rosebery was now on the opposition benches. Rosebery turned his attention to local government and in 1889 became chairman of the recently established London County Council. After the 1892 General Election, the Liberal Prime Minister, William Gladstone, appointed Rosebery as his Foreign Secretary. When Gladstone resigned two years later he suggested to Queen Victoria that she appointed the Earl of Rosebery as Prime Minister. 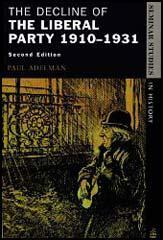 His period in power was only short as the Liberal Party was defeated in the 1895 General Election. 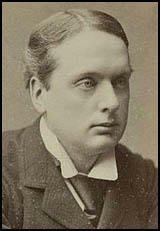 Rosebery led the Liberal Party until he resigned in 1896. He was an imperialist during the Boer War and gradually moved away from his earlier progressive views. In debates in the House of Lords he tended to support and vote with the Conservatives. The Earl of Rosebery died in 1929. (1) In his book, Memories and Reflections, Ben Tillett described his relationship with Lord Rosebery, chairman of the London County Council. My experience on the London County Council brought me into contact with its distinguished chairman, Lord Rosebery. He was one of our great men, in spite of being an aristocrat. What gifts of oratory, of tongue and pen alike, he possessed! A man of outstanding culture, he was the embodiment of a tradition that made him distinguished even when physical proportions lent no imposing presence. One may talk of breeding, culture, and patter the language of the obsequious, but one can scarcely say too much of Lord Rosebery.